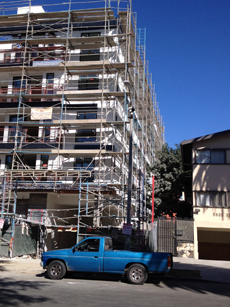 Master Clean USA holds a California construction license for construction final cleaning (Lic. #1004497) and has the kind of world class experience in final cleaning that has earned it the reputation for best final cleaning company in Santa Barbara by construction companies such as Giffin and Crane, RCI Contractors, Armstrong Construction, MT Cline, Unander Construction, Young Construction and dozens more. 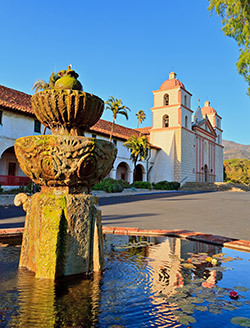 For everything from large projects such as the local El Encanto Remodel or Bacara Hotel remodel (all phases) to smaller Santa Barbara and Goleta home or office remodels or builds, Master Clean is the best at what we do in every service area and one of our many specialties is construction cleaning. Recently we were given the opportunity to work with Schipper Construction and their big Flir project in Goleta and had nothing but high praise from both owners of the project and the superintendents of the project. 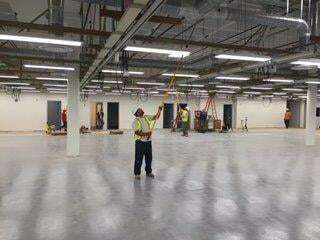 In addition to local contractors that we work with, we have also had the pleasure of earning the trust of national construction companies such as Bernards Construction, MC Construction, Timberwolff Construction, Build Group and many more on projects such as Pet Smart, Ulta, Tillys, Alma del Pueblo and much more. Our expertise and experience in construction final cleaning is like no other and makes Master Clean USA first choice for contractors small or large, local or national. 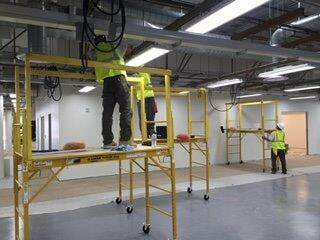 Below you will see a sample scope of our construction cleaning services. Please click to fill out our proposal form for more information and we will get right back to you! Fixtures, door knobs, decorative features, lamps etc. Includes all cabinets, shelving, drawers inside and out (vacuum for saw dust tracking, dust all drawers and shelves by removing including all sides) appliances moved out cleaning behind/under.